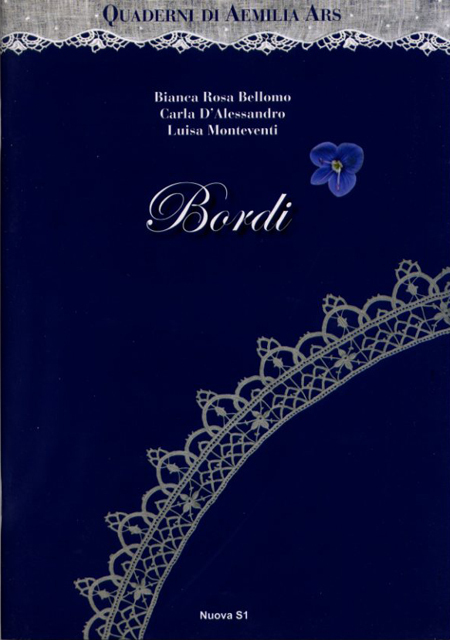 The long awaited Bordi [Borders] of the Quaderni di Aemilia Ars series is out! 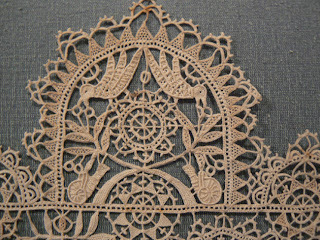 78 pages of clear instructions on how to make this breathtakingly beautiful needle lace. Once again the pupils of the Aemilia Ars master Antonilla Cantelli have worked hard to bring you step-by-step instructions. 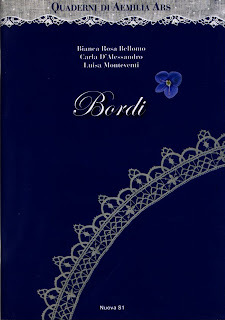 This book is in the same format as their previous publication Fiori [Flowers], this time they present numerous borders, edgings and inserts with large clear colour photos. 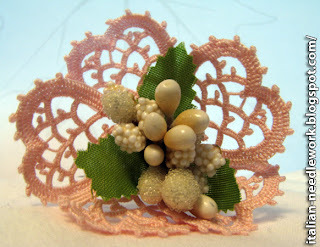 If you are a regular reader of this blog you will know that I have spoken often and lovingly of Aemilia Ars needle lace. It is truly a jewel in the crown of needlearts. The ladies of the Association I Merletti di Antonilla Cantelli also had a booth at the Italia Invita Forum in Parma this year and it was full of exquisite pieces of Aemilia Ars needle lace, both new and old (click on the underlined text for some pictures). While in Bologna, I couldn't miss the opportunity to revisit the Collezioni Comunali d’Arte museum and the only continuous exhibit of Aemilia Ars needle lace that I know of. 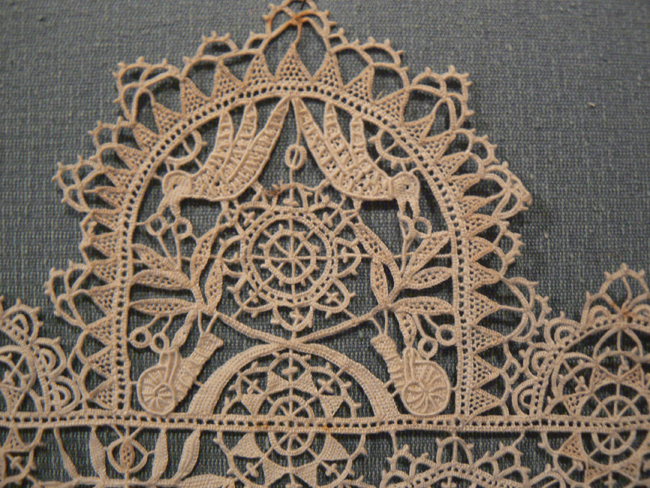 If you're interested in the book on Aemilia Ars needle lace borders or even the one on flowers, check out the online needlework store Tombolo Disegni. As always, many thanks to Elisabetta for the photo from the museum in Bologna!